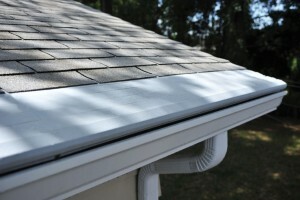 ABC Seamless of Albuquerque offers the best gutter covers for your home in Placitas, New Mexico, or a surrounding area. We have proudly served the area since 1989 with gutter protection systems that ensure that you will never need to clean out your gutters again. What’s more, to get the most out of your new gutter covers, consider pairing them with our custom-made seamless gutters. Our gutter systems are fabricated on-site at your home to ensure they are a perfect fit from side to side of your roof. And, to allow you to rest easy in your purchase, every product we offer is backed by a lifetime warranty. To learn more about the effective gutter covers available to homeowners in Placitas, NM, and the surrounding areas, contact ABC Seamless of Albuquerque today. Feel free to stop by our impressive showroom to see all of our gutter products in person.